Journey in Montreal or Quebec City? Inform me about the next events for Journey. Enroll yourself to our priority waiting list for Journey to be alerted when new tickets are available. Filling this form doesn't engage you to any purchase. 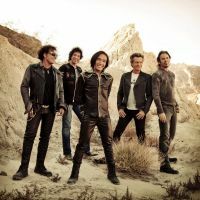 Journey is coming to Montreal on July 28th, 2015 for a concert at the Bell Centre ! With over 80 million records sold worldwide and hits such as Don't Stop Believin', Any Way You Want It and Faithfully, Journey is one of the most successful and memorable bands from the 1970's and 1980's. Hard rock fans will rejoice at the idea of seeing Journey live. Don't miss it!